In conjunction with the cyberfeminist collective Deep Lab’s residency at NEW INC during the New Museum’s IDEAS CITY festival, Anderson investigates these themes again with a decidedly lighter touch. Responding to the festival theme of the “Invisible City,” Anderson draws on her experiences as a substitute teacher to re-interpret surveillance through a lo-fi approach. “Does It Still Feel Weird If I Just Use My Hands” investigates privacy, representation, and surveillance using paper and pencil instead of cameras and computers. For this experimental performance, Anderson will provide a soundtrack and drawings of her own, which will be manipulated in real-time via the audio-visual app Generate (NEW INC members) to create an immersive projection environment. Audience participation is encouraged. 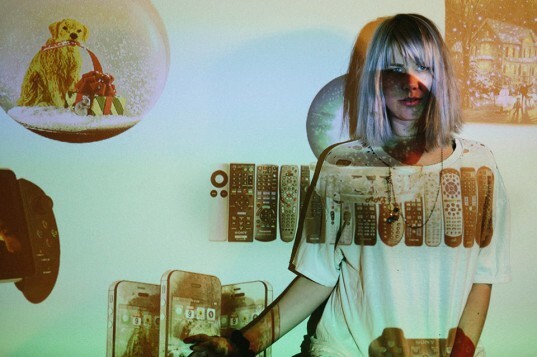 EMA will also be appearing at London’s Barbican Centre on Tuesday July 7 (“I Wanna Destroy (Sacred Objects from Suburban Homes)”), and tickets are still available. The Future’s Void is available on CD, Cassette and LP lavender vinyl) from The Matador Store.